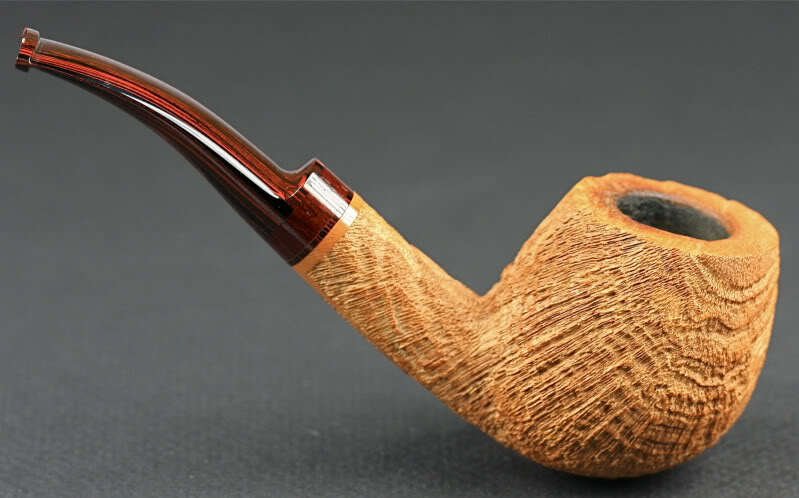 Since I just got that nice pipe made by Brian, I was wondering, has anyone heard from him? I know he shut down his website and no one seems to have been in contact. Anyone? I always wanted one of his pipes and I was crushed to see that his website is gone, wish I knew where he went. Brian has not answered my last couple emails. No clue what is up. As miserable as I was for a month this early summer with allergies. (That have not entirely cleared up.) I can only imagine that he has not solved his problems. It's very difficult to work around power tools and suddenly go into coughing fits. I hope we see him back to work someday soon. Sorry to hear he has been battling ailments, I hope he can over come them soon and rejoin us. I'm feeling real attracted to his signature 1/2 saddle situation. That is a stunner sir.